Thames Valley Pest Control - Pest/Vermin Control based in Reading, Berkshire. 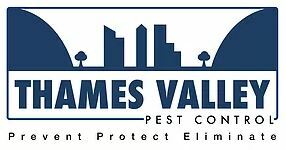 Thames Valley Pest Control is a small independent pest management company based in Reading, Berkshire. We cover the whole of Berkshire and South Oxfordshire providing reliable services to both domestic and commercial clients. RSPH (Royal Society for Public Health) Qualified with over 10 years’ experience in the industry. BASIS Prompt Professional pest controller registered staff. Independently audited to the British Standard EN16636 for pest management. Discreet service - no graphics! we only use non-sign written vans. IPM (Integrated Pest Management) - we look at all the contributing factors surrounding your pest issue and advise accordingly. Environmentally responsible pest control - We always opt for a non-toxic method of control where possible, pesticides are only used when necessary.